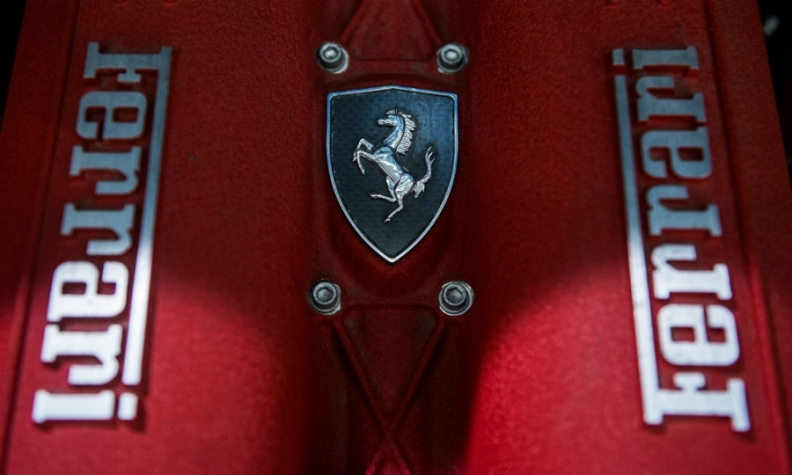 MILAN -- Ferrari said its third-quarter adjusted earnings before interest, tax, depreciation and amortization (EBITDA) rose 13 percent to 266 million euros ($310 million). Quarterly revenues were up 7 percent to 836 million euros, helped by sales of its 12-cylinder models such as the GTC4Lusso and the recently-launched LaFerrari Aperta hybrid convertible, the automaker said in a statement Thursday. Ferrari said it now expects to report a full-year adjusted EBITDA of around 1 billion euros, up from a previous forecast of above 950 million euros, but analysts said this was still conservative. Revenues are seen at around 3.4 billion euros, up from a previous forecast of more than 3.3 billion. Ferrari CEO Sergio Marchionne has aimed for 1 billion euros in operating profit since he replaced Luca Cordero Di Montezemolo at the helm of the supercar maker in 2014. Reaching it before 2019 opens the way for the 65-year-old CEO to launch his final business plan for Ferrari before he retires. The new five-year strategy, to be presented in early 2018, is set to include expansion into new segments, including SUVs, to win more customers with less-extreme models.